This Rawsome Vegan Life: DIY VEGAN FACE MASKS + FACE MASK GIVEAWAY! DIY VEGAN FACE MASKS + FACE MASK GIVEAWAY! This is the fourth post in a self-care and body-care series I am doing in collaboration with Luminance Skin Care, an organic vegan skincare company that I love. This post also includes a face mask GIVEAWAY! Enter below by commenting on this blog post: comment with a question you might have about Luminance, skin care, face masks or whatever! The Luminance team will answer all your queries. Also, you can get a free enzyme mask if you buy something from Luminance's online shop and mention my blog's name at checkout! I want to preface this post with a reminder that self care doesn't have to have anything to do with face masks or body care products, or any products in general. Self care can look however you want/need it to look. For me, it looks like a lot of baths, self-massages with essential oils, homemade face masks or ones from Luminance, meditation, naked dancing in front of my mirror, long walks, and more. Whatever you know makes you feel grounded, safe and peaceful: do that for self care! In this series I am tying self care to body care because FOR ME they are closely connected. But I certainly understand if as part of your care routine you want to avoid capitalist structures altogether/as much as possible. So in this post I am providing some DIY recipes for face masks that could not be any simpler, PLUS some face masks that you can purchase from Luminance if you feel so inclined. Luminance is a very small company - like, a handful of people - in California that uses only vegan and ethically-sourced ingredients and makes all their products by hand in small batches. I was delighted when, in one of my previous posts wherein I held a giveaway for some of their goodies, so many of you expressed that you'd already discovered and fallen in love with their skin care elixirs. 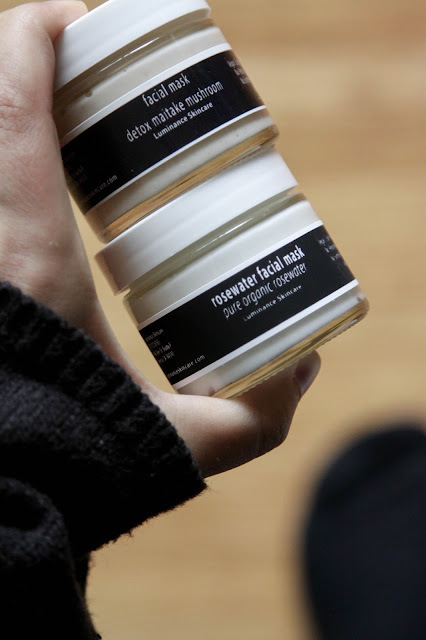 I feel the same way: their products are so gentle and well-designed that even on my sensitive skin they work wonders. Kim, Shayane and Elena are genuinely concerned with the well-being of every single one of their customers, so you are in good hands if you choose to try some of their glorious goods. Now moving on to masks! My fave face masks from Luminance are their exfoliating mask with papaya enzymes - it's totally smooth so it doesn't scratch off the natural oils on your skin like some rougher exfoliators - and their green clay mask. Both leave my skin feeling soft, clean and hydrated. I do a mask every two weeks or so. Even though it only takes 10 minutes or less, it feels like such a treat for myself. I know ya'll know what I'm talking about. As for DIY face masks: I've shared recipes for a few before, and now I bring you more. CAN YA HANDLE IT? Mash it up. Spread it on a clean face. Let it sit on there for 10 minutes. Rinse off gently with warm water, then spray on some rosewater toner and go on with your day. Tip: avocado pits make great hydrating facial massage balls. That sounded really weird but all I'm saying is that next time ya cut open an avo and are about to compost the pit, rub it around your face instead. It feels really good and provides some natural moisturizing goodness thanks to the fat content. Rinse off your face right after the mini facial massage or else you will be walking around with green cheeks the rest of the day. Stir all the ingredients together until you get a paste. Spread on a clean face and let sit for 10 minutes, then gently rinse off with warm water. Spray on some rosewater toner and keep livin life. 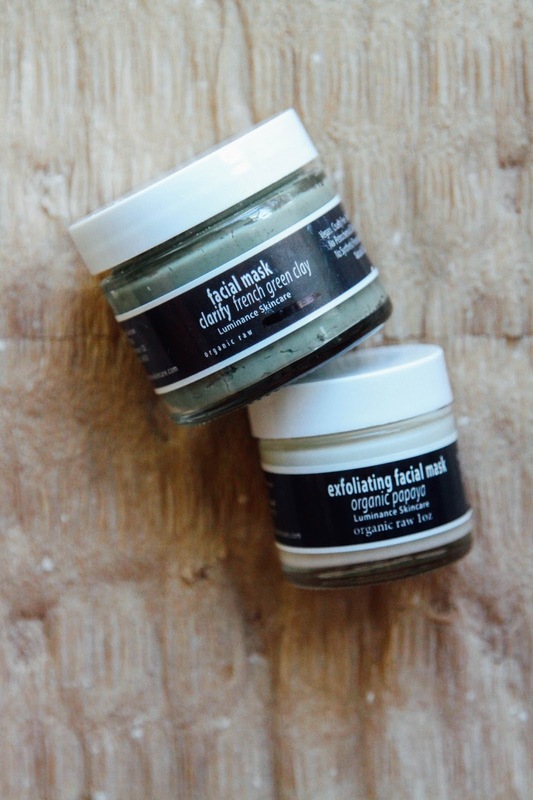 Mash it up, spread it on a clean face. Let sit for 10 minutes then rinse off with warm water. Spray face with some rosewater toner and voila! This may be a strange question but, how do people come up with these ideas to use avocado, oatmeal, etc. on their faces? It's simple, and with the ingredients being edible, it is so much better than store-bought products. Also, are there any DIY face masks for removing acne? Such a great post! My question is - what would be the best product for large pores and black heads? This is something I am really insecure about and would love to hear what some experts have to say aha! Thanks Em! Hi! Should raw sugar or salt be used to exfoliate? Thank you!! 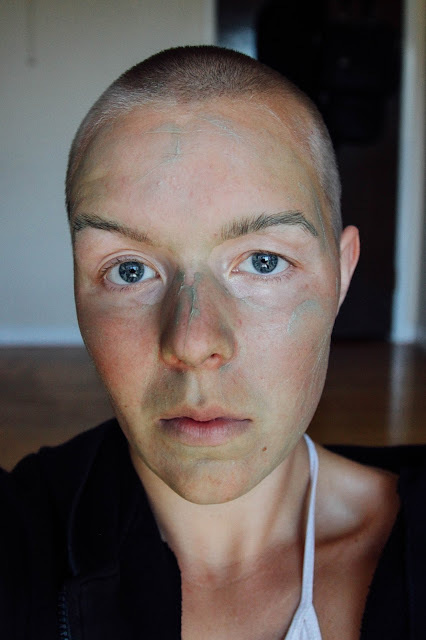 I would love to know what product would be great for my face now that I live in the desert. I used to have a dewy glow living in a humid climate. I love everything about where I live except I lost my glow. Any product to bring that back? I bought some of the Luminance skin care products based on a previous post you had written. I was intrigued by the simple ingredients they used and how everything is handcrafted. I guess my question would be for sensitive/acne prone/dry skin types like myself: I have a hard time finding products that don't clog my pores but also give me enough moisture. Can you recommend anything to boost a natural glow? Is it the process? What type of foods might help? Any recommendations for helping a natural glow for sensitive/acne prone/dry skin types? Food recommendations? Process? Thanks! I'm wondering what Kim, Shayane and Elena's fave face masks are! I'm interested in a face mask recommendation for swimmers! I swim 4 times a week in a chlorine pool and always looking for a better cleanser and moisturizer to help my dried out sensitive skin. Any recommendations for swimmers? I swim in a chlorine pool and it's hard to find a cleanser that won't dry out my face too much or a moisturizer that replenishes enough! What works well to deal with blackheads and acne prone areas? I have always wondered how often I should really be using masks. They always seem like such a good I idea in theory, but then I forget and a week passes without using it. I would love to get in more of a routine and knowing how often I need to use them in order to truly see their benefits would be super helpful. I am really intrigued by the papaya mask, because I have such sensitive rosacea prone skin that not using physical exfoliant a would be soooo much better for my skin! Hi there, I am wondering what is best to prevent dryness in winter after using a face mask or cleanser... I then don't know what to put on my face to keep the moisture in, and i'm not keen on chemical moisturisers but don't have the money for natural ones... thanks! What types of ingredients should I look for that have anti-aging properties? Great ideas! How often is it recommended to use a face mask? I want to try the chocolate one! HI, when you say 'rosewater toner' is that a product I would find in the skin care section, or does that mean just rosewater like you would cook with? Thank you. I have the driest skin ever! What is the best/most efficient AND gentle way to combat this? I'm currently experiencing a really abnormal amount of breakout that I'm fairly certain is the result of stopping hormonal birth control. My skin isn't oily (it's not dry either; I'm pretty "normal"), and up until now, I have never really had more than the occasional blemish or two. Have you got any suggestions for something that will help clear me up without drying me out (bonus points if it's brightening as well because I sadly am dealing with some post acne scarring). Thank you! What does the rosewater toner do for your skin after the face mask? My skin is very sensitive. I know these are all natural but would they still be ok for someone with incredibly sensitive, fair skin? I've got severe skin dryness in the winter. Do you experience this/have you found the luminance products help? It's very straight forward, we just look at the vitamin & nutrient profile of natural food ingredients and sculpt the mask from our knowledge base of what skin loves. Just always keep in mind to always make only what you can use in a few days and always keep it in the fridge. Try the Nite Time Facial Butter! It's super rich and features 2 naturally derived peptides from broccoli. I designed this specifically for very dry, challanged skin. Call me if you would like to discuss your skin in detail, most likely I can help if I know more. I would love to know what I can do internally, to help minimize my need to sunscreen. As well, I'd love tips on how to choose and use a daily facial sunscreen. I have no luck! HI! I recently purchased some skin care products from Luminance, and have found that I am still struggling with black heads and spots. Apart from a regular routine using Luminance products, are there any other tips you'd have for helping combat black heads ? No synthetics, no toxins and organic...what does Luminance Skincare use as a preservative for their products? Are there any all natural ways to protect my skin against the sun? Thank you for the vegan face mask, would surely try it. I am now applying aloe vera face mask regularly for acne scars. Will this mask help in removing acne scars?